Cleaner Shrimp Study | Marine Life Society of South Australia Inc. It is an article titled “Secret Code Prevents Cleaner Shrimp from Becoming a Meal” and it was written by Liz Langley (Published July 7, 2018). It came with a sub-title of “Reef shrimp and their fish clients use special signals that communicate cooperation, a new study says”. “Television ads often use animals to sell things. How many animals, though, advertise for themselves? Cleaner shrimp do—their bold stripes and antennae movements advertise their services to fish clients, which have their own way of requesting some crustacean TLC. 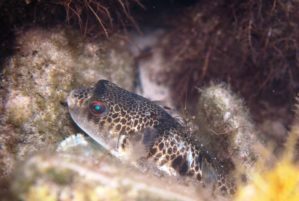 In a recent study, Eleanor Caves, a postdoctoral researcher at Duke University, and colleagues looked more closely at these signals between Pederson cleaner shrimp and their clients in the Caribbean Sea. The team analyzed 199 encounters between shrimp and 10 fish species at a field station in Curaçao, the most common being spotted goatfish and ocean surgeonfish. When a fish approaches a shrimp and holds its body very still—called posing—the shrimp then wave their antennae, signaling they’re willing to clean (and get a meal of tasty parasites). Fish then typically turn a darker color, an indication they want to be cleaned. Cleaner shrimp are colorblind and likely see in grayscale, Caves says, so the fish’s darker hue is a vivid indicator. When shown lighter and darker images of triangles, circles, or rectangles on an iPad leaned up against a tank in the lab, shrimp would more frequently try cleaning the dark images. But why do fish allow shrimp—typical prey—to scour scales and gills and even get inside their mouths without eating them? “Reef fishes can become overloaded with parasites and suffer health consequences without the services of cleaning organism,” and will pursue cleaning even before food and mating opportunities, says Nanette Chadwick, a marine biologist at Auburn University. Benjamin Titus, of the American Museum of Natural History in New York City, notes that Pederson cleaner shrimp are “dedicated cleaners,” devoting their whole lives to this service. Pederson shrimp mostly eat parasites, he says, but they can also remove dead and damaged tissue, promoting healing. The cleaners also have a mutualistic relationship with a variety of anemones, which offer a safe home among their toxic tentacles, possibly in exchange for the additional nutrients excreted by the fish when cleaned by the shrimp. Reef fish “even use the sea anemones as visual cues to locate Pederson cleaner shrimp from a distance as they cruise around on the reef,” Chadwick adds. In doing the research, Caves found more evidence for how different species—a potential predator and potential prey—have evolved to communicate with one another without conflict.